A truly tasty budget-friendly recipe! Great for full-time vegetarians or for family meat-free days. Packed full of vegetables and beans in a smoky, tomato-based sauce. Serve with a simple green salad or steamed green vegetables on the side. Follow a recipe; follow food safety & hygiene rules; tidy away; use measuring spoons and cups; use a jug to measure liquids; chop using bridge/claw technique; use a vegetable peeler safely; use a box grater safely; crush garlic; use a citrus zester; use a colander; use a hob (with adult supervision). Saucepan, wooden spoon, chopping board, knife, vegetable peeler, spoons, box grater, colander, tin opener, hand blender, ovenproof dish. Please note the allergens listed above are indicative only. Allergens vary depending on brand; check the labels on the products you use. Preheat your oven to 200°C / gas mark 6. Heat 1 teaspoon of the olive oil in a saucepan and add the onion, garlic and carrot. Cook over a medium heat for 5-10 minutes until soft. Stir in the smoked paprika and cook for another minute. 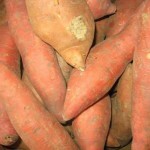 Add the sweet potatoes and water, and simmer over a low heat until the potatoes are tender. Stir in the tomatoes, beans and half the dried herbs, and bring to the boil. Simmer for 5 minutes. Meanwhile use a hand-held blender to blitz the sliced bread into breadcrumbs. Stir in the lemon zest and the rest of the dried herbs. 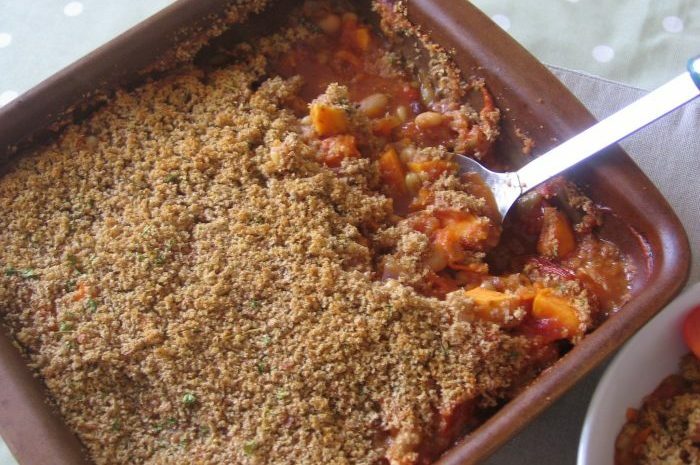 Pour the beanie mix into an ovenproof dish then add the breadcrumb mix over the top. Drizzle the remaining teaspoon of olive oil over the breadcrumbs. Place the dish in the preheated oven and bake for about 15 minutes, until bubbling and golden brown on top. Divide the bake between the plates and serve with a green salad or steamed vegetables. Sweet potatoes are a nutritious and filling starchy food; low in fat and a good source of beta-carotene (Vitamin A), Vitamin C and fibre. 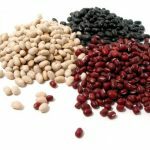 Beans of all types are so good for us! Low in fat, sugar and calories and high in protein, B vitamins and fibre. Tomatoes are really good for us containing a wide range of vitamins and minerals. They also contain lycopene, a type of antioxidant which can help protect our bodies from disease.